8 perfect gifts for the bike rider who already has everything. The holidays are coming and you just drew the office cyclist for your secret santa! Now it may seem the easy way out to just get him a fresh set of leg shaving accessories, but lets not get into an intense existential debate of tri-blade vs quad blade effectiveness. So what do you get the bike rider who apparently has everything? Here are 8 perfect gifts for the bike rider who already has everything. Wait it can’t be that easy? Yes it can. Most avid bike riders find themselves back at their favourite bike shop monthly if not weekly. There is always something new they want or most often replacing worn out parts on their ride. 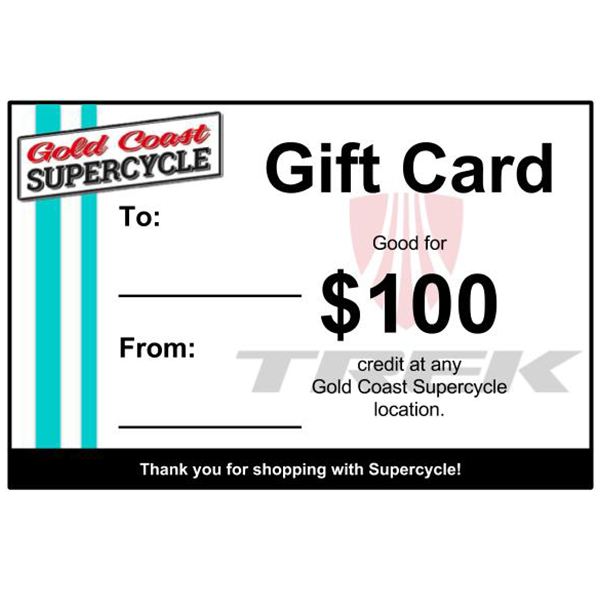 Gift cards are a great way to let them choose what they want or need and can be bought in any amount. 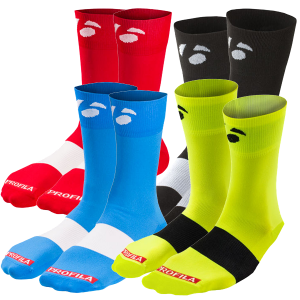 One of the biggest trends right now is tall bright socks. They don’t even have to match their favourite jersey, just as long as they are bright, loud, funky, pineapples all over them….the more wild you can find the better. Avoid the really short runners socks. Go for mid to tall ones and at around $20 a pair you can get multiples. 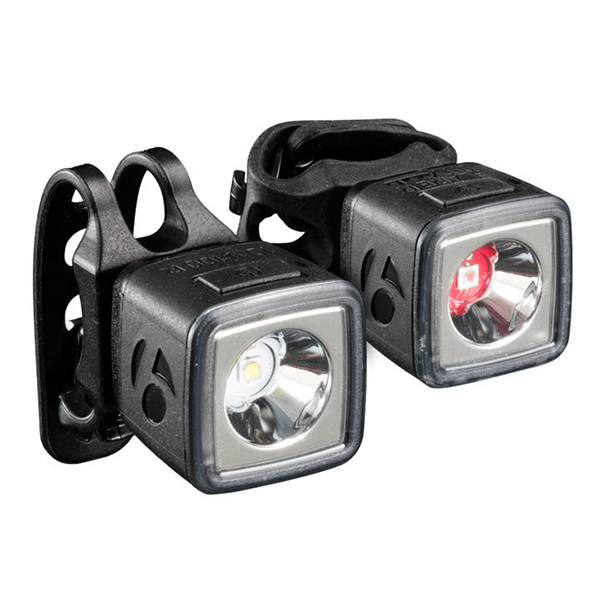 Daytime running lights are not just for cars and motorbikes. It’s proven time and time again that having lights on your bike during the day gets you noticed and ultimately safer on the road. Not all lights are rated for day time use. They need to have a high powered LED and ultra bright reflectors. Most are rather small and come with USB rechargeable batteries. Bottles are always getting worn out, dirty, mouldy and lost. Camelbak have created a new style of bottle that no longer spills and drips all over you or your bike. 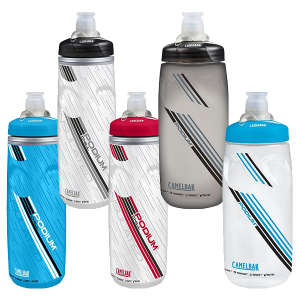 They also come in insulated versions so you can keep a cold drink on your bike in even the hottest summer days. 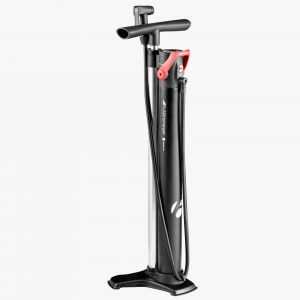 Perfect for mountain bikers too as you can lock off the nozzle when it’s in your backpack so it won’t leak when squeezed. 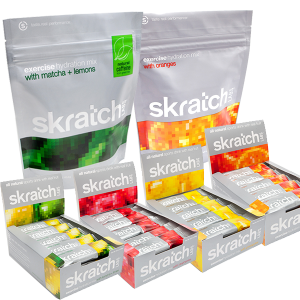 One of the top drink mixes on the market is easily Scratch Labs. Easy on the stomach, yummy mild flavour, no bad after taste and has little bits of real fruit. They come in a large bulk bag or you can mix up a variety of flavours with a bunch of individual sashays. They also make some tasty little chews to keep your sugar balanced on rides longer than an hour. It’s no secret that helmet and bell laws for cyclist are getting enforced more and more. As a result Knog (An Aussie company) has come up with a very simple, pleasant sounding, stealth bell that even fits around road bike cables. You can ring ’em, ding ’em but you don’t see ’em. Choose from four different colours. Easy as ringing a bell. While some riders swear by owning a Garmin GPS computer, not everyone wants to fork out the premium price for one. You probably already own a good GPS anyways. 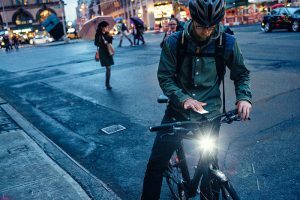 It’s your smart phone, and there are numerous, most free, cycling apps that will work perfectly as a bike computer. 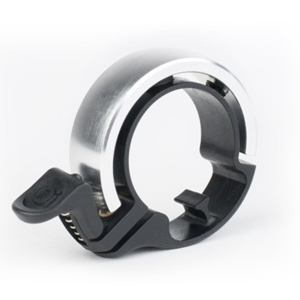 Now you just need a secure way to mount it on your handlebars or head stem. Enter the Quadlock system. If you own one of the recent iPhones then there are custom cases that work perfectly. Already have a good case or use android? 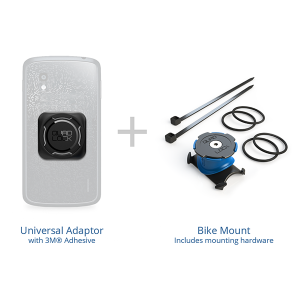 Then get the universal bike kit. You’ll peel and stick on the thin connector to the back of your phone or case, zip tie or bungie the mount to your bike and securely click it on. There is nothing I have found to be easier to use or more secure for phone mounting. Now these may not be the cheapest gift in the list but by far they are the most exciting to receive. Sunnies get scratched up a lot from repeated use and eventually will need replacing. Oakley is and has been the gold standard in quality fitness eye wear for decades. 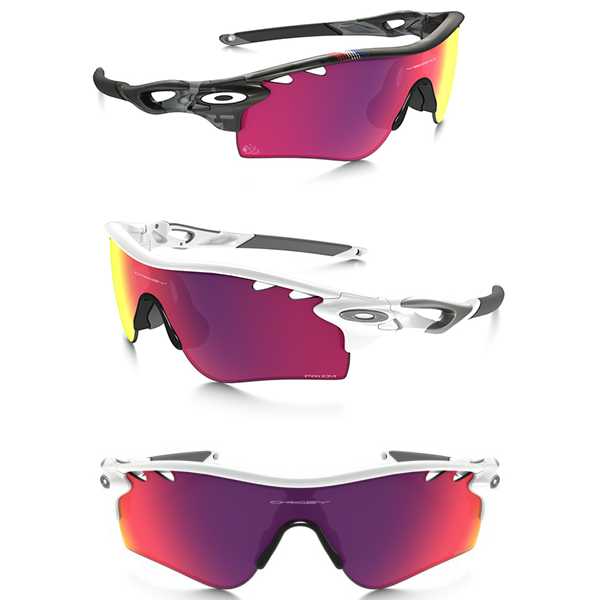 One of their most recent innovation is their Prizm line of lenses. They come in two different types, Road Prizm and Trail Prizm. Not only are they top rated for safety but the new Prizm lenses give the rider the best clear vision for off road or on road. And there you have it! As an avid bike rider and known gear geek I would be thrilled to receive any of these as a gift this holiday season. 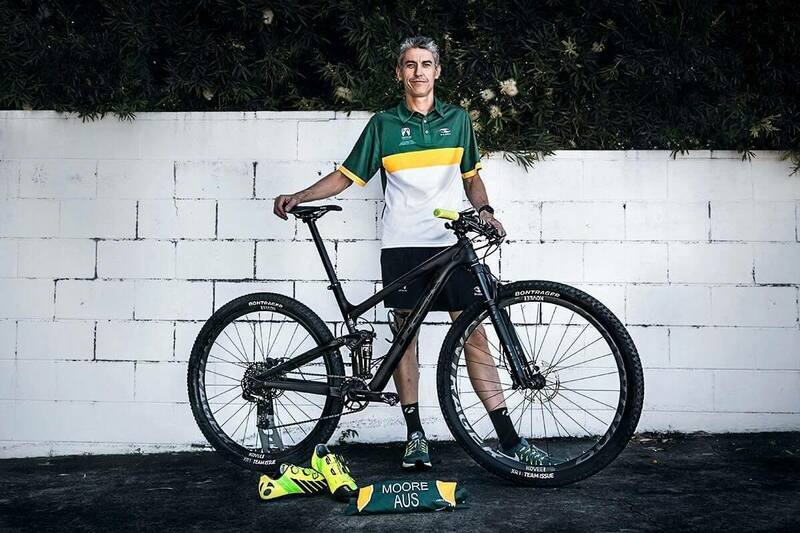 Congrats Chris Moore for representing Australia at the 2016 ITU Cross Triathlon World Champs! If you’ve been involved in triathlon on the Gold Coast at all over the years, there is a chance you’ve come across our Southport store manager Chris Moore. From the whole team here at Gold Coast Supercycle, we wanted to wish Chris all the best at this weekend’s UTI Cross Triathlon World Champs! Chris will be representing Australia this year and we couldn’t be more proud. Go get’em mate! Electric Bike Guide: From kits to completes….everything you need to know. It’s not a revolution….it’s just fun. 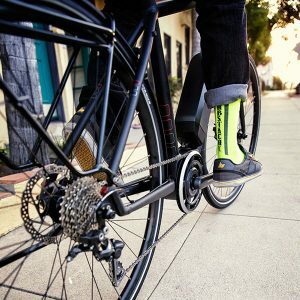 One of the most recent advancements in cycling tech to hit your local bike shop is the electric bike. You’ll most likely see options available to get powered up for road, bike path and trail. 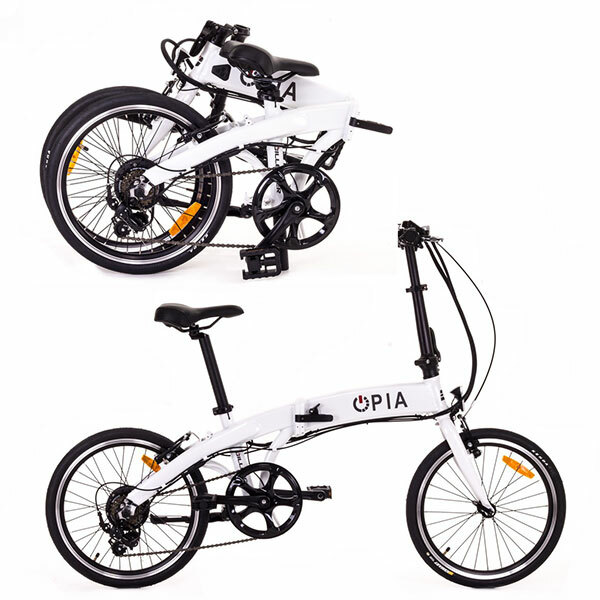 Like the traditional push bike there are numerous options, quality of motors and batteries to choose. So how do you go about picking the right one for your needs? You’ll need to take one for a ride. Some shops might even offer trail demo’s so you can experience the fun all day. One thing is certain, once you try one the first time you’ll not stop smiling. To help break down what these bikes really offer I’m going to focus on four main types: mountain, cross, folding bikes and conversion kits. 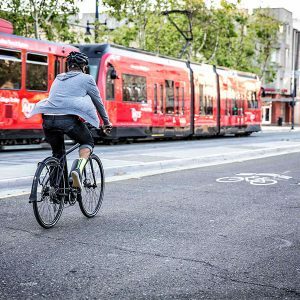 What makes a street legal e-bike? 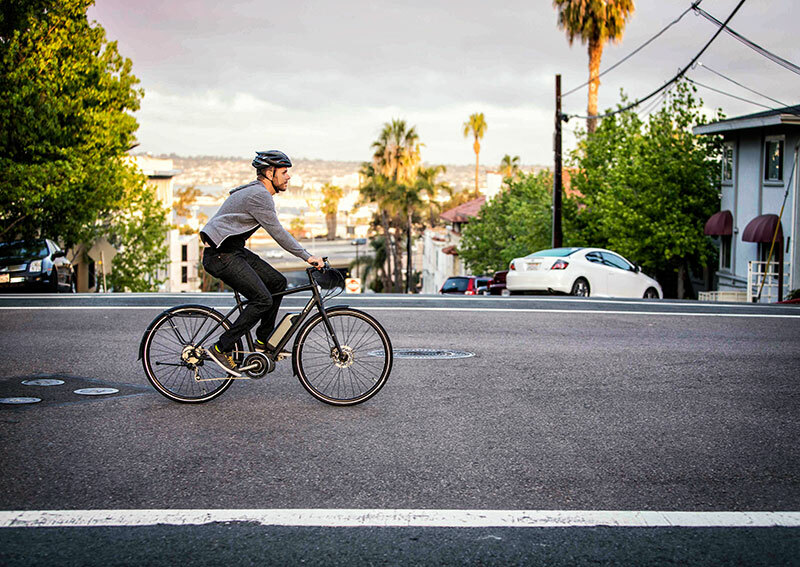 One of the first questions you should ask yourself is “am I going to use this bike to ride on the roads or local bike paths?” If you are, then you will need to ensure that the motor on the bike is rated for street legal use. A quick Google search should get you exact regulations in your area on what is legal but there are some standards you can follow that make it easy. The motor system will need to be governed to a maximum output of 250 watts and cannot power you faster than 25 kph. It will also need to be equiped with pedal assist (no throttle only models allowed). If the bike meets these three main requirements you can be pretty sure you’re street legal without any rego or special permits needed to operate on public roads. Just chuck a helmet on and off you go. Here’s where things can move beyond street legal. I still recommend checking with local regulations and trail rules but most places allow the use of electric assist bikes. 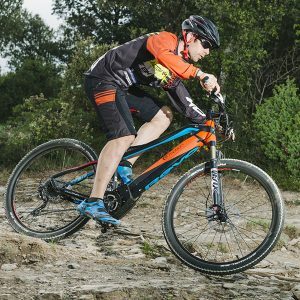 STRAVA elitists should stop reading here as the introduction of e-bikes on trail comes with some drama. 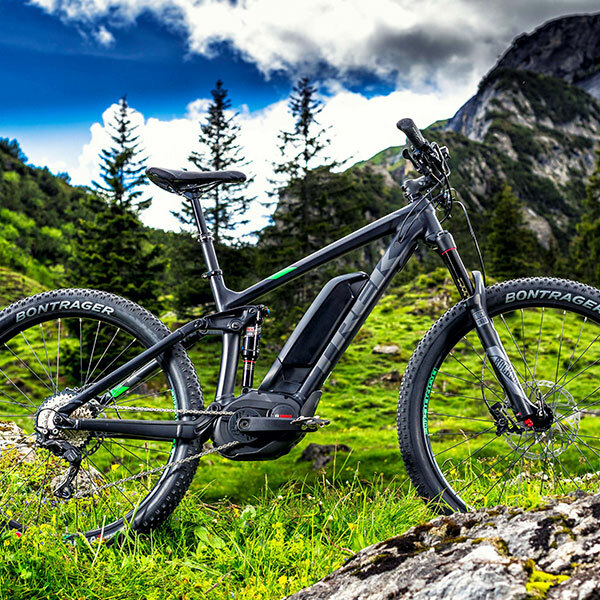 But beyond the KOM’s and “I’m faster than you”, e-bikes have helped numerous people start mountain biking that didn’t believe they could handle the difficult climbs or keep up with their friends. Bikes made for off road will often provide much greater power than their street legal alternatives. 600-1000 watt motors are becoming common and will quickly turn what would have been a 10k exhausting ride into a 40k all day adventure. Now with the added assist does come extra weight. Consider this on the decent as you’ll be handling a heavier bike than a traditional full suspension. Here is where I will highly recommend taking a trail demo out for the day prior to purchasing. I’ve been selling e-bikes in shops now for about 10 years and I can say Cross bikes (aka hybrids, city bikes, cross road) are the most requested type of e-bike. To go a head and answer the most asked question: Yes, you still get exercise with these bikes, you just go further and faster than you would on a traditional push bike. These bikes are perfect for a daily commute to work and back, a casual ride down to the beach or a fitness ride through the country. Most of these bikes will be street legal, allowing you to ride on any road or path you like. Price will vary a lot from cheap-o to very expensive. In my experience the one’s in the $1500-$3500 range will give you the best value for battery, motor quality and design. Anything cheaper will most likely use very cheap parts, lack a good warranty, non-lithium batteries and be excessively heavy. Bikes in the middle price range mentioned will come with high quality lithium ion batteries, cleaner internal routed cables, are noticeably lighter and have the best warranty. Stop in to your local bike shop for a quick test ride out the door to see if these are right for you. Just chuck’er in the ute, caravan or boot of the car….these little but peppy travel bikes are lightweight, affordable and can go anywhere. Don’t let the size fool you, they are as powerful as the cross bikes mentioned above. Only much easier to store and transport. With the convenience these provide there are some trade offs. They often provide fewer gear options so long fitness rides are not going to be the best use. Also the added clamps and joints, though safe and well designed, are not for aggressive riding. But if all you want to do is run down to the shop, go visit local friends or start commuting short distances this style might be your top option. 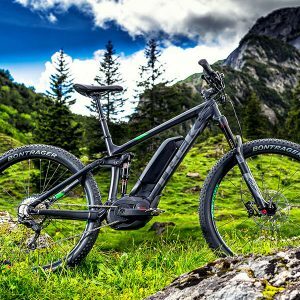 Already got a bike you like but want to go electric? Then just buy a kit and away you go. Here is where your local bike shop is going to be the biggest help. Compatibility is where you mush begin. There are different wheel sizes, bottom bracket styles, pedal assist systems, motor brake cut off switches. In some cases you may need to upgrade a few other parts on your existing bike to make it work. The simplest kit I’ve found to install is a front wheel motor. These kits come with everything you need out of the box in including a fully build front wheel. There is some light filing and careful selection of spacers for some front forks but most people can install them at home with a basic set of tools and a careful read through of the instructions. Yes you will want to actually read the instructions or you may find yourself riding backwards! Or just let the pros at your local bike shop install for a reasonable service charge. So there’s my best breakdown of the world of electric bikes. 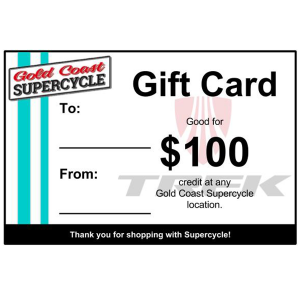 I welcome you to stop in to one of our three Gold Coast Supercycle locations for a test ride. Or better yet give us a call to set up an all day demo. Hardtail or Full Suspension….Which mountain bike is best for you? 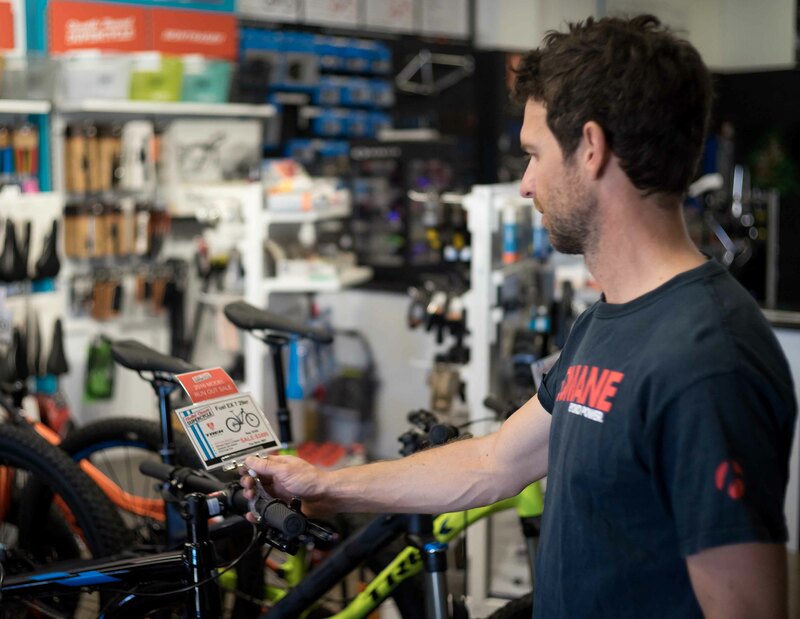 On the lookout for a mountain bike upgrade or perhaps just starting out and unsure how to spend your hard earned money? The question of whether to settle on a hardtail or go all out into the dual suspension world, although initially daunting, is actually quite simple. 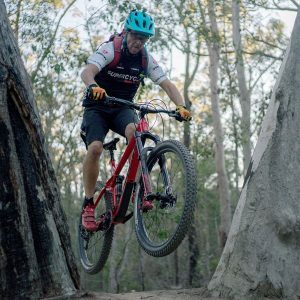 Many people are unsure how far they want to go with their mountain biking, which type of bike will do the job and whether they will need to go all out with suspension or not. The first consideration when shopping for a mountain bike is to consider your budget as this will certainly determine the type and level of bike you will be in the market for. One of the key benefits of a hardtail is affordability. For an average rider starting out doing some “real” mountain biking we believe the budget starts at $700-$1000, and this is firmly in hardtail territory. 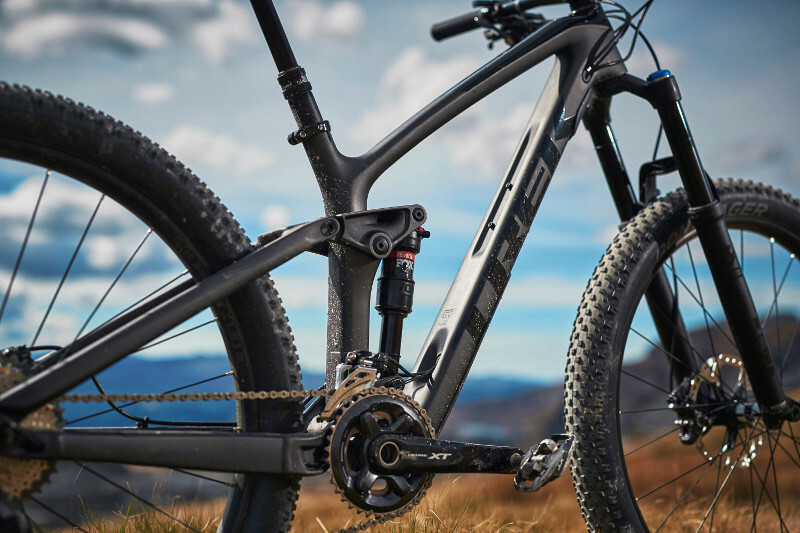 Dual suspension bikes at this price are probably best avoided as you will be sacrificing too much in terms of drivetrain and suspension components – basically the bikes aren’t very good! Yet a $800 hardtail will be a great beginners bike – it speeds up the learning process as you become accustomed to choosing the best lines on single track, maintaining momentum, getting out of the saddle climbing, balance to hold wheel traction in technical terrain – basically you learn all the skills and confidence that make mountain biking so enjoyable. Alternatively if your budget is $2000+ perhaps a dual suspension bike is going to be more enticing and certainly if you can push out to $2500 expect a solid bike capable of handling any trail. Dual suspension is the goto above this budget. The latest technology has resulted in ironing out many of the drawbacks which were once typical of suspension bikes like, for example, pedal induced bob. 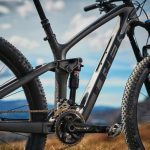 This means that a decent dual suspension bike has many of the positive qualities of a hardtail with the added benefit of being able to really “open her up” on a fast, rough and technical trail. Of course there are many excellent hardtails below $1000 which are fine for an average cyclist doing day to day riding, but when it comes to singletrack riding and getting out into the rough and really fun stuff purchasing a performance bike is crucial. It will be more fun, safer and the bike will last the experience! A key benefit for the hardtail is simplicity. Compared to a dual suspension bike with its extra shock, linkages etc, the hardtail is a simple piece of equipment to setup, ride and maintain. If you like things “old school” neat and simple the hardtail is more a “just get on and ride” type of thing. Dual suspension bikes could potentially spend more time at your local bike shop being serviced and tuned ($$$) and definitely require greater attention when it comes to cleaning and care. It’s this simplicity that results in a hardtail being a versatile go anywhere bike. Finished with the weekend trail ride? Monday morning you’re riding to work. Sure you could do that on a dually, but one can have TOO much bike sometimes! Here we come to the key benefit a dual suspension bike has over a hardtail: the ability to smooth out a rough trail. Comfort is important for many riders, and if this is you, having rear suspension is a no brainer. Apart from the obvious comfort benefits, dual suspension mountain bikes also make it easier to ride tricky single track trails at speed as they soak up the bumps and maintain grip regardless of the terrain. They are also great for building confidence as the bikes are very forgiving of a beginner riders lack of experience. Contrary to popular belief a dual suspension bike is also a very good climber. Although a hardtail is still the fastest and most efficient climbing mountain bike (in the right hands), dual suspension has the advantage of allowing seated climbing. This is because the rear wheel tracks variations in terrain, affording constant power down. Of course this type of performance comes at the higher levels of suspension quality, but its something to be aware of regardless. So which is best for you? Firstly identify what sort of riding you want to do. Are you just mountain biking on rough trails, or is this a do-it-all bike for street riding or commuting as well? Next, work out a budget you’re comfortable with, keeping in mind the type of bike this will steer you toward. Lastly, check out if the bike you have chosen fits with your intended purpose. For example: A 160mm travel “Full Enduro” dual suspension mountain bike is not going to get you to work on the road very well, as much as a $800 hardtail will be next to useless if you plan on competing in the local Enduro meet. So saddle up and head into your local bike shop. If you are cautious about investing into a higher end full suspension ask if a demo bike is available to try before you buy. Supertips: How to setup mountain bike suspension. New Supertips video is live. Chuck from our South Tweed location gives you some tips and tricks to setting up your full suspension mountain bike. All you need is your bike and a shock pump to get it done. Watch below. There is nothing a 29er+ can’t do! Watch it. So the 29er+ is starting to make it’s way from the weird and abnormal into main stream trail riding. Lots have been said about the drawbacks of big rubber but turns out there is NOTHING these big wheels can’t do. The limit is only the rider. Watch Pro Trek Factory rider Cam McCaul do just about anything you can imagine on the new Stache 29er+. In our latest Super Tips video, Chuck shows you the process for adjusting you bicycle’s headset. You will only need a few simple tools (4mm and 5mm Allen Keys). These can be found in most standard workshops or stop into one of our three Gold Coast locations to pick some up. Enjoy. It’s a simple equation really, but one often overlooked. The problem with driving to work, (or anywhere for that matter), is that it’s boring and you generally wish it was over. Then you get to work and you’re down and out before even punching the clock. The mind numbness of sitting in traffic bombarded by commercial radio ads in all their high volume and compressed hysteria…no wonder we’re all depressed and hate our jobs. BUT, imagine if there was a better way, a pathway to happiness, energy and aliveness. Imagine starting the day on the front foot instead of the back. 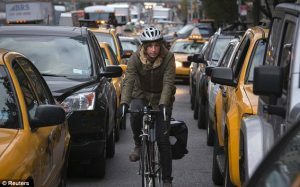 It’s all available, and it’s called bicycle commuting. Yeah okay, perhaps a little dramatic, but I can speak from experience that riding to work is an awesome way to start the day. You get to work feeling more alert, alive and ready to tackle all those challenges, big and small, in a typical day at work. On top of that, it keeps you fit and healthy, and allows you to really enjoy that midmorning chunk of cake. So what’s involved and what do I need? Any bike will work, but one with bigger wheels will work better. The larger diameter 700c wheels on a hybrid, flat bar road bike or drop bar road bike roll with little resistance and therefore require less effort to pedal than a fat mountain bike tyre for example. If you are stuck with a mountain bike, try swapping out the knobby tyres for something narrower with a slick “city” tread. This makes a huge difference on the road and actually increases grip. 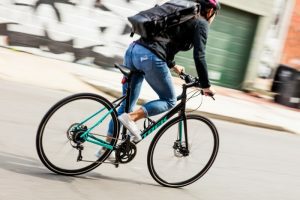 Hybrids and flat bar road bikes can also be equipped with panniers, racks or other mounted accessories to make carrying work stuff more easily without compromising performance. 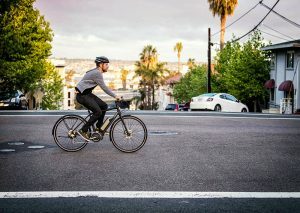 Electric bikes have come in leaps and bounds recently and are a great option if working up a sweat before donning your office attire is not a practical way to begin the day. You don’t get the same workout as a normal bike, but the thrill of trucking along on an electric bicycle is a joy of its own…and the parking is cheaper. Gearing up in skin tight lycra isn’t necessary to ride to work. There are many options. 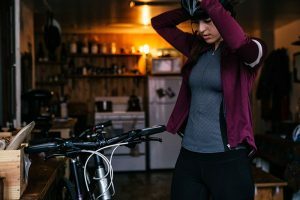 Mountain bike shorts often have a discreet chamois which no one will know about and makes for extremely comfortable riding, but on a short ride you may not even require this. Just make sure your shorts or trousers allow plenty of movement to pedal and aren’t flapping around near the gears and chain. Cycling tops are breathable, dry quickly and are cut so they don’t blow about while riding. There are lots of casual options if you want to remain more incognito. Grab a helmet and you’re ready! Lights are a legal requirement for riding at night and could mean the difference between getting home safely or not. I don’t mess about in this area and so I bought the brightest lights I could afford and use them religiously. Visibility is everything when riding on the road – contrary to many viewpoints out there, car drivers really don’t want to hurt people, even cyclists! Make it easy for other road users to avoid a bad situation by becoming as noticeable as possible. My colleague keeps both lights on during his daytime morning ride as well as at night. Again this is a great idea because it helps keep other road users alert to your presence. That bright flicking light in a drivers peripheral vision might mean you don’t end up skipping work because you were in the hospital getting patched up. As I’ve already said visibility is everything on the road. None wants an accident, riding so you are well seen by other road users is crucial. 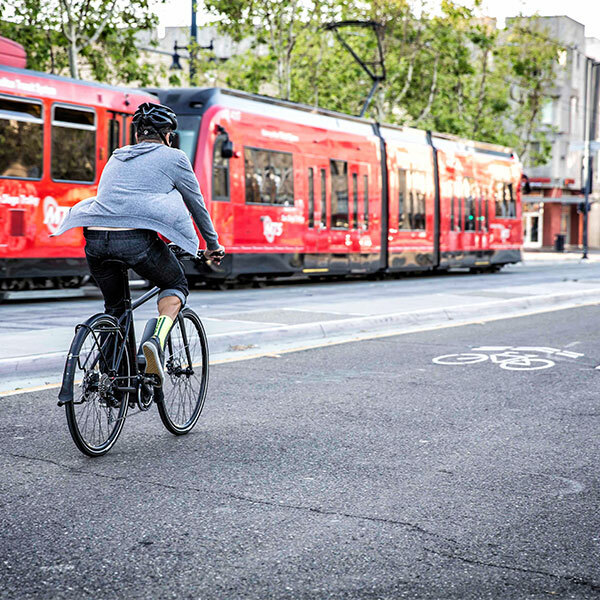 When on the road, bike lanes are your friend, but if there aren’t any stay to the left and ride a consistent line – avoid swerving in and out around parked cars – it makes your movements hard to predict. Staying consistent allows drivers to respond to your presence safely. Sometimes you will have to move into traffic. Make exaggerated hand signals to indicate your intended manoeuvre, check twice, then move into the flow. Remember you are probably a lot slower than the surrounding traffic so friendly wave or gestures to drivers who may be held up is one way to encourage everyone sharing the roads. Want to know where the best routes are in you area? Stop in to your LOCAL BIKE SHOP and ask some of the employees there. Some or most of them ride to work daily and can give further advice about the best routes and gear to make your morning commute enjoyable. 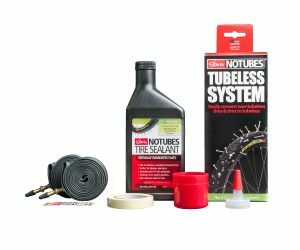 Chuck your tubes….tubeless tyre conversion made easy. 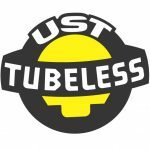 I know what your thinking, this is the internet…here’s another guy going off on some opinionated rant about why tubeless is the next mustache. Sorry to disappoint but I’ll leave that to the forums. I’m just going to explain the easiest way you can actually make it work. Back in the 1990’s, Mavic created the first accepted standardised tubeless system. Tyres and rims that carry the official UST badge go through specific testing, are very reliable and hold the best seal often needing no added sealant. A quick check of your rims and tyres will tell you if this is a feature. If it is then your rims probably came with a special rim tape (some requiring no tape at all) and a UST Presta (French) valve. Step 1: Install the valve making sure the locking screw and the valve core are tight. Step 2: Seat both sides of the tyre onto the rim. Work the bead into the middle channel of the rim. Make sure the valve is inside both tyre beads. Step 3: Use a compressor or pump to get the bead to “POP” onto the rim. Be careful not to exceed the maximum pressure of the tyre. 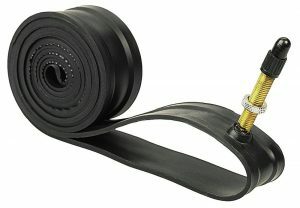 Step 4: UST tyres/rims don’t always require sealant, but you may choose to add this to heal small punctures while riding. The easiest way to add it at this point is to release all the pressure then remove the valve core. Inject the appropriate amount of sealant, replace the valve core and re-inflate. SUPER TIP: Use some soapy water to help the tyre fully seat onto the rim. A lot of major bicycle brands now spec their bikes with Tubeless Compatible wheels and tyres. The rims often come with preinstalled special rim tape and the appropriate valves. They will usually be set up on the shop floor with tubes but the process to convert is quite simple. 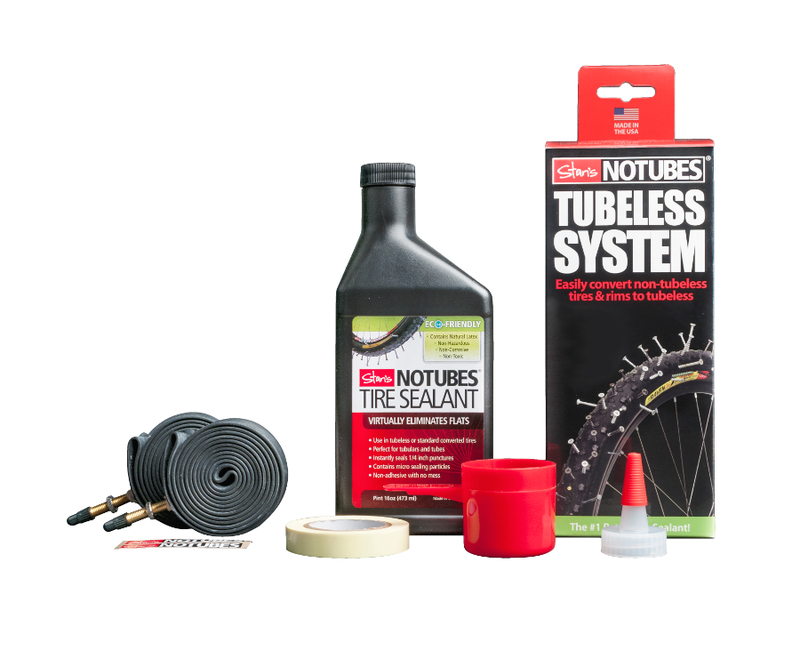 Most shops may convert to tubeless for you if you ask during the sale (there may be a small set up cost involved). 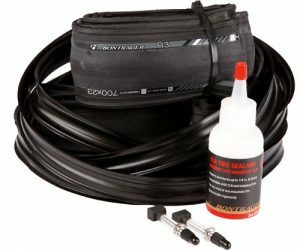 Tubeless Compatible systems will require sealant. In my experience most sealant brands work but advise purchasing the one your local shop recommends. Most important is always refill (this needs to be done every 4-6 months) with the same stuff. Step 1: Remove tyre and tube from the wheel and check the rim tape. If the wheels don’t come with special tape already then purchase tubeless conversion tape. This stuff is like thick scotch tape and is usually yellow or orange in colour. I usually do two layers for mountain bike wheels. Step 2: Poke a small hole at the valve hole and push the tubeless valve in. Tighten the little nut as tight as your fingers will allow. Step 3: Fully seat one side of the tyre. Start to seat the other side leaving a small bit off the rim to easily pour in the tyre sealant. 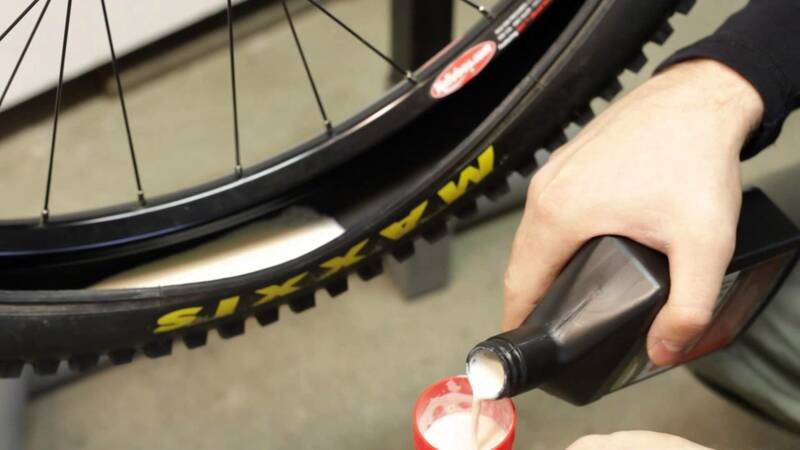 (You can also fully seat the tyre, remove the valve core and inject the sealant too) Follow the amount recommended on the sealant bottle for your size tyre. SUPER TIP: To reduce the chance of sealant spilling, rotate the tyre so the pool of sealant away from the opening before you finish seating the tyre on the rim. Step 4: Use a compressor or pump to get the bead to “POP” onto the rim. Be careful not to exceed the maximum pressure of the tyre. Step 5: Spin the wheel repeatedly until you no longer hear any leaking air. Pressure may slightly leak over the first night but the more you spin and ride it the better it’ll stay sealed. Back in 2001 a man by the name of Stan Koziatek created a system for tubeless conversion without the need for UST certified rims/tyres. These days there are a number of companies proclaiming conversion systems for stock and standard mountain bike wheels. 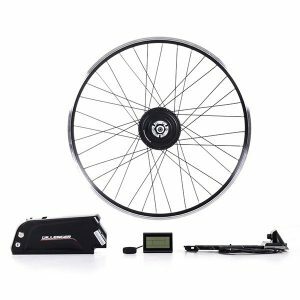 While I’m a user and believer that nothing can beat the original, most conversions systems you find in your local bike shop will work effectively. The key to getting it set up proper is selecting the right type of rim strip and using a newer tyre. I’ve seen some very interesting “Ghetto Tubeless” ideas attempted in shops and home garages that can work, but I’ll keep things simple for this article and describe the most common and reliable way to convert. Step 1: Purchase the correct conversion kit (Stan’s No Tubes, Joes Tubeless…) for your rim width and diameter. Get the one that has the thick rubber rim strip with integrated valve. Step 2: Tape your rim first with the same tape described in the Tubeless Ready set up. This will ensure an air tight seal at the spoke holes. Step 4: Fully seat one side of the tyre. Start to seat the other side leaving a small bit off the rim to easily pour in the tyre sealant. (You can also fully seat the tyre, remove the valve core and inject the sealant too) Follow the amount recommended on the sealant bottle for your size tyre. Step 5: Use a compressor or Pump to get the bead to “POP” onto the rim. Be careful not to exceed the maximum pressure of the tyre. 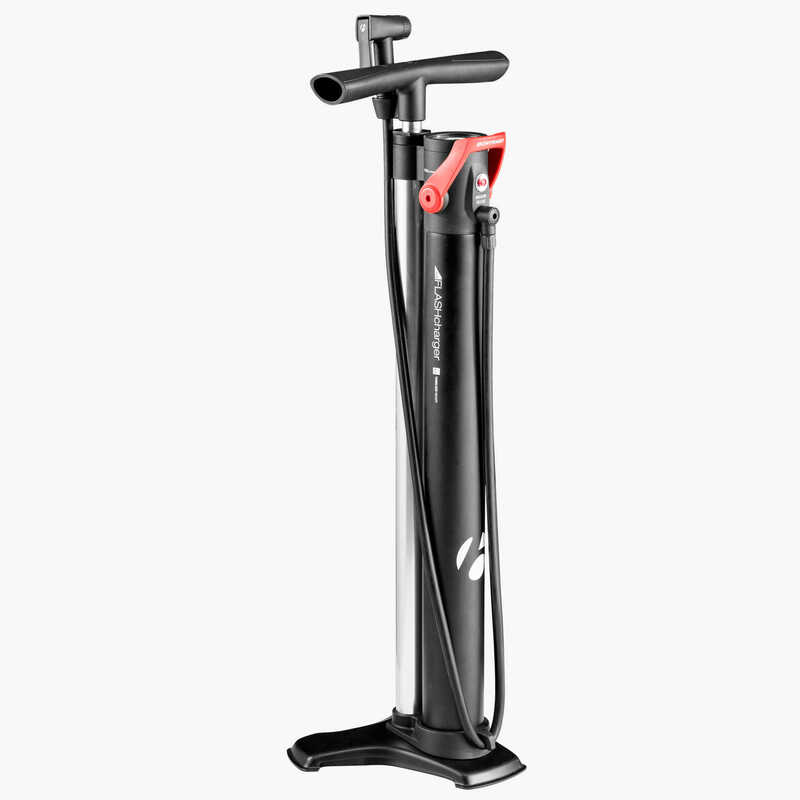 SUPER TIP: A great alternative to a compressor is the Bontrager Flash Charger. This type of pump allows you to pre-charge a chamber then release high volume at high speed into the tyre simulating a compressor. Easy as right? It should be and the best part is you can do it at home without any special tools. Or if you’re strapped for time and want it done professionally, just pop into your local bike shop for a quick set up at an affordable price. 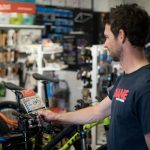 Being a life long bike enthusiast and working in local bike shops for the past 15 years I’ve seen and experience most the recent trends. The popularisation of the balance bike comes to mind as one of the biggest I’ve seen. Before becoming a father I took the new trend with confidence. I sold them to parents wanting their child to succeed at bike riding through the easiest path. The concept of learning balance before pedalling was a novel idea and could very well be the answer they were looking for all along. But traditional training wheels remained and what was thought of as the reinvention of the child’s bike came into question. While it may be easy to to begin this conversation with some wild existential ideology about how the human child learns motor skills, let’s touch on what both of these options can provide for your little one about to get their first bike. Now as a parent of a four year old who LOVES his bikes I can finally speak with experience about what really matters when your child starts riding. FUN! While the balance bike trend continues to grow, most of us can say we began on training wheels. What’s wrong with a system that has been used for generations to help learn how to balance and pedal a bike. Nothing except it doesn’t teach balance. It provides a chance to grasp how to pedal and brake without the frustration of falling over and over again. How a bike should be balanced while turning can, however, be neglected. Does that really matter? I believe it does. I see it every time my son and I go riding at the park. Kids are riding confidently on their training wheels, powering pedals as the black skid marks accumulate with pride. Here comes the tricky part, do we as parents just take the safety blanket away and do the old push ’em down the grass hill to discover real speed and most likely a little scratched knees? Why not, worked for me! Eventually we all learn one way or another. Now about this great trend of balance before pedal. I am definitely guilty of believing that my child was going to start on a balance bike and rocket straight into a pedal bike cleverly never needing the use of training wheels. I’ve heard stories of these amazing feats of coordination but have yet to experience it in real life. 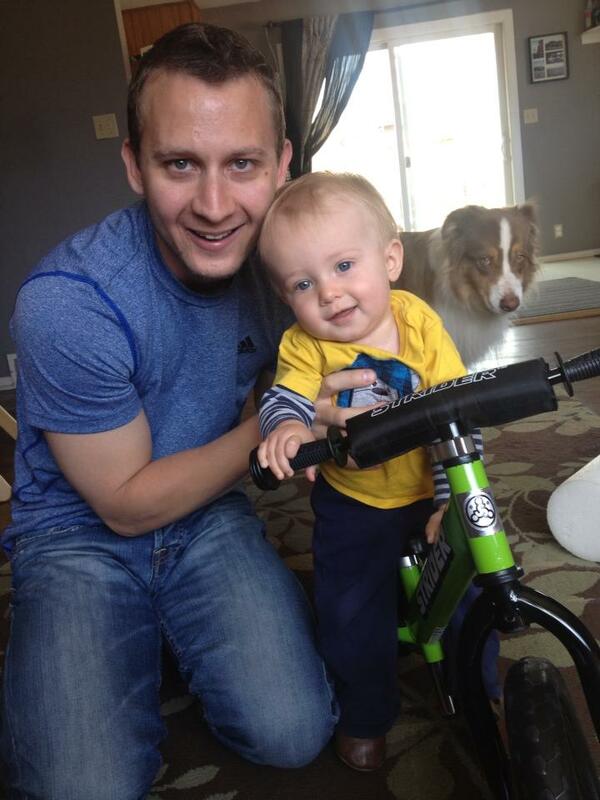 I got my son, who was 1 at the time, his first balance bike. It was the best thing I could have done. I wanted my son to love bike riding and the balance bike was the best thing for him. 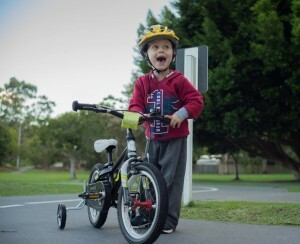 He loved his new bike! I think he just about took his first steps walking the bike around the house. He even loved flipping the bike upside down and spinning the wheels. Soon enough he was riding his balance bike in the yard, at the park and to the famers market. Now I find myself sprinting after him down the foot path. Let’s get to the point shall we. Is it possible to use the balance bike as a training wheel replacement? I actually see the balance bike as the trike replacement. It’s the first bike you should buy if you really want your little one to love riding bikes. That’s what it’s all about for them anyways right? It’ll put a smile on their face, get them outside and teach them proper balance and steering. When it comes time to add the pedals try keeping the training wheels on for a bit and get them a solid understanding of how pedals and brakes work. In the end they’re all going to need a push down the hill and let them figure it out on their own. That day for my son and I is quickly approaching. I’m sure it’ll make me as proud as his first steps. Copyright © 2019 Gold Coast Super Cycle. All Rights Reserved.